People aren’t driven by numbers and statistics – they’re driven by personal stories. GroupRev lets your supporters create personalized fundraising pages that showcase their story and how close a cause is to their heart which will compel their friends and families to support your cause in a way that would otherwise be impossible. Don’t just connect with a single person. Connect with their entire social network. Personalized fundraising pages become a powerful tool to inspire your supporters’ friends and family to give. GroupRev harnesses the power of personal relationships to raise money for your causes. Get the word out faster, gain more awareness and ultimately raise more money with GroupRev. Stay in tune with your campaign. GroupRev gives you all the important data instantly. GroupRev lets your cause supporters see the results of their fundraising efforts in real-time. Let your supporters set their goals and watch as the funds add up! You can also see from where in the world people are visiting your fundraising pages, giving you a real-time snapshot of your worldwide impact. 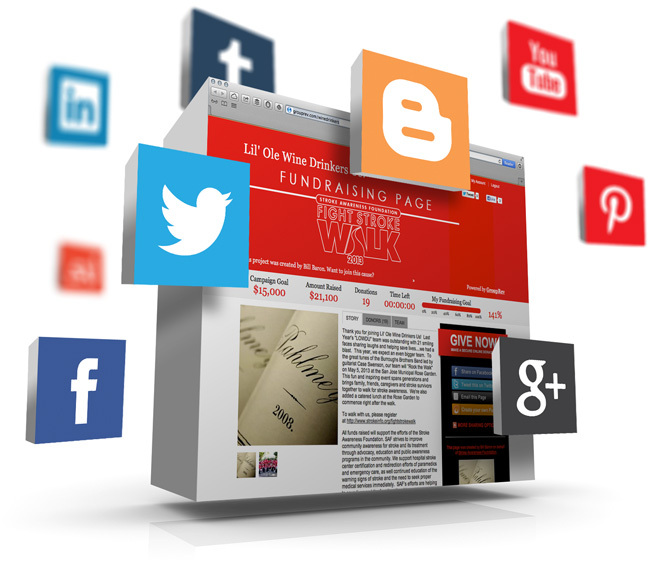 Fundraising pages can be shared through Facebook, Twitter, e-mail and hundreds of other integrated platforms, ensuring your supporters can leverage the power of their social networks in their fundraising efforts. GroupRev fundraising efforts can grow exponentially with no extra recruiting work. 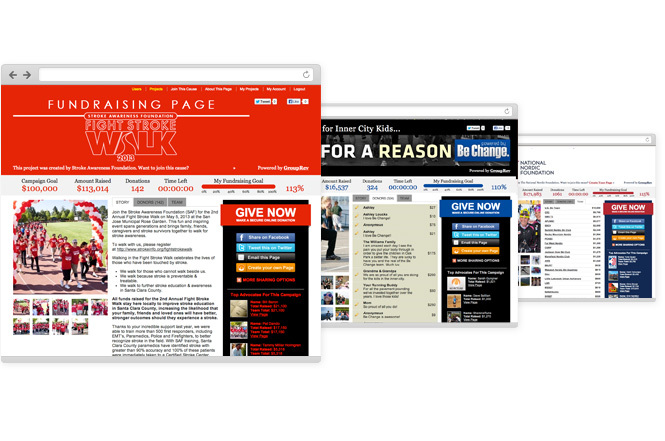 Those visiting your fundraising pages that are inspired by the cause can create their own personalized fundraising page with their own fundraising goals and story. Let others come along side your cause quickly and easily with GroupRev!